The answer is now… YES!! Up until now, Shopify e-commerce folks didn’t have the ability to use ThriveCart to ramp up what they are doing on Shopify. Are you one of them? You’ll love it and if you are in the e-commerce game and on Shopify, then ThriveCart is a no-brainer to ramp up your sales. Get it today and also get the BEST price possible and bonuses to get you an ROI in no time. Get your copy here and all of the valuable bonuses. If you need a bit more info, no problem! Check out this full blown Thrivecart review and walkthrough video. Hey, it’s Joe Fier from getthrivecart.com, and in this video, I wanna show you why there’s a perfect marriage of tools out there that you might want to get. So if you are on Shopify, e-commerce, or some kind of platform, if you’re looking for a great e-commerce platform, then you’re probably aware of Shopify, but you might not be totally aware of how this fits with ThriveCart. 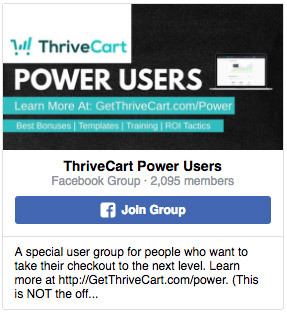 You might not have even heard of ThriveCart. Well, I’m gonna show you why you should actually be using both of these things to make a lot more money with a lot less effort. So let’s get into that right now. All right. So in this video, I wanted to show you why there’s actually an easy way to get ThriveCart to work with Shopify or Shopify with ThriveCart. A lot of folks, I mean, we talk to people every single day about hooking up Shopify, or if Shopify can work with ThriveCart, or if I could sell physical products with ThriveCart, all that kind of stuff. It’s a great question. The whole answer now, really, just released, is that yes you can. There is now a direct integration between ThriveCart and Shopify. You probably might be wondering, ’cause most people think that you just use one or the other. You know, if you’re in e-commerce, you basically just use Shopify. And if you’re selling digital products and stuff like that, you’re gonna use ThriveCart. Well, in this video, I’m gonna show you why you can actually make a lot more money by using both. So let me explain why really quick. There’s a thing that’s said, and Josh Bartlett, the founder of ThriveCart says this pretty often, I might butcher it a little bit, but basically, focused funnels will give you higher conversions. That’s not actually a saying totally, but I’ll basically explain more in a second. But, if I go back … so a focused funnel is something like ThriveCart. 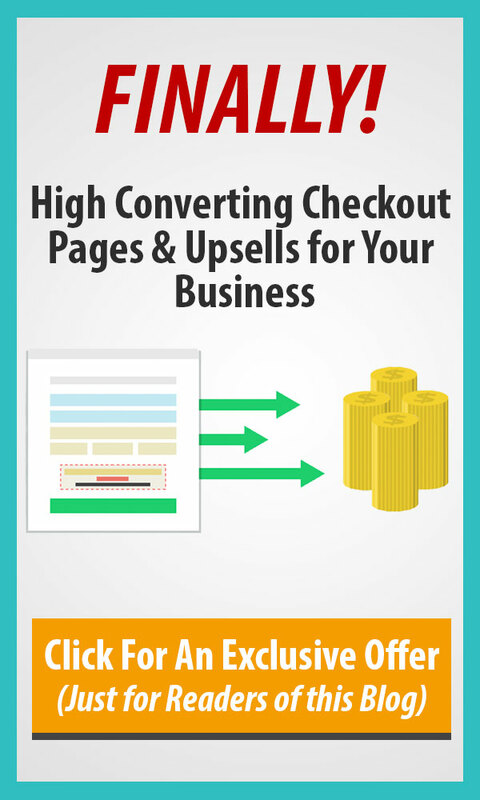 That’s something if you have a landing page, a sales page and then a checkout page. And potentially some upsales or downsales as well. It’s a very focused funnel, it’s linear, you know, it’s along the line. Whereas if you’re thinking like Shopify and there’s nothing wrong with this, it’s just a different type of model, Shopify is more of a cart. So that’s more of a browsing experience, it’s not really a linear way of buying a product, it’s more of a shopping, like you’re going out to the store, that’s why it’s Shopify. It’s an e-commerce platform with a cart loaded up and then you check out at the end. Totally cool. So if you’re doing e-commerce, if you’re selling physical products and things like that, you wanna do both and here is why. So the focused funnel, that’s where ThriveCart comes into play. The beautiful thing now that everything is actually integrated directly into Shopify, everything you do in ThriveCart will go into Shopify means that you can totally fulfill everything that you normally would in Shopify and you have all the stats, you can track everything like you normally would but now you’re having the benefit of using this ThriveCart cart to actually create a focused funnel around your e-commerce. And I’m actually gonna show you why you’ll have the best of both worlds and I created a little visual for you. So in a typical e-commerce Shopify store, you will have … you know, you have your whole platform. Basically, you have your whole shopping experience. That’s what this cart’s representing and you have all these different products out there. You might have T-shirts, cool hats like this for Dora, maybe some mugs or cups out there. Whatever the product us, it really doesn’t matter. But the point is that you have a variety of products out there and in e-commerce, most likely, you have a ton of products, way more than you ever would with just a funnel that’s focused. So here’s the problem is that you know, carts basically create browsers, that’s more or less the saying that Josh says is that carts are gonna create browsers, those are folks that are just moving around, clicking around, seeing products, descriptions, prices, reviews. And then maybe they’re adding them to the cart and if they’re adding to the cart, maybe they’re actually going to purchase. But it’s not focused. So they’re more browsers than anything. Obviously, you’re gonna have your intent buying people and all that fun stuff but most people are browsers. Now here is what kind of happens with this and this is what most e-commerce product owners will see and these numbers present basically the amount of revenue that each product represents. So this is all totally hypothetical but this is very common, it’s kind of like an 80/20 type of thing is that most products really aren’t going to sell the bulk of your … make up for the bulk of your sales or even your profits, however you wanna look at it. But you know, let’s assume, simple math in this whole thing, 5% of sales come from this shirt, 5% from this shirt, 15% of sales come from this cup, that’s really good. You know, 5% come from this cup, five from this hat, 10 from this hat. Cool, that’s all great and all. But you might not be totally noticing or maybe you do notice and you don’t know how to optimize why this shirt is bringing in 55% of your sales or maybe it’s 55% of your profits into your company and you know, it’s kind of like your cash cow. But, with an e-commerce store, it’s very difficult to just optimize that one product and that’s really where this whole issue comes up to play. So that’s why you’re not really optimizing the experience to make the most profits and if you created something that is linear, something that’s more focused around this product as an example and maybe pair it up with a bump offer or an upsale or a downsale or whatever to maybe a cup or another, or maybe a hat, something that kind of works with that is you know, a cross sale or an add-on type thing, then you can exponentially make a lot more money and it’s way quicker to just test something with a funnel like that. So, here’s an example. Let’s assume that we wanted to create a funnel around that shirt and we know that represents 55% of our sales or profits, whatever you wanna call it. So with ThriveCart, you can create that focused checkout experience. So if you follow me here, you can literally create a landing page or a sales page that essentially features this shirt with all of its cool designs, all of its cool features, maybe it’s cool construction, you know, the shirt’s amazing, sweat wicking, people are gonna love you and they see you in it, they always say cool things. Maybe there’s testimonials, reviews, all that stuff on the sales page that really pumps up this one product. This is not a cart anymore. We’re talking about just the sales page for this one T-shirt. And you know, in doing that, that’s maybe built on Leadpages or Clickfunnels or on WordPress or something like that. But you’re using ThriveCart to capture the payment for that product. And so that is your focused checkout experience. Now, what’s really cool is, you get this checkout with ThriveCart and if you don’t know about ThriveCart or if you haven’t seen the different checkouts, just go to getthrivecart.com, it’s on the bottom here, and you’ll see a ton of videos with examples. We won’t do that right here. But essentially, with this checkout, now you can actually add in a bump offer so maybe that’s five, 10 to maybe 50 dollar offer that with a click of a button, they can add that to their order. They can also add some upsales or some downsales after that first initial sale of the shirt and that’s what I was saying, maybe there’s a cup they wanna add in there or a hat that you think that just sells really well that would pair up with the shirt. You could totally do that and string up some products this way. Now, you have all the massive integrations that ThriveCart comes with, that’s auto-responders, you can automate with so many fulfillment things out there as well. Obviously, you probably have that with Shopify but again, you have a lot of different integrations inside of here, there’s tons of videos at getthrivecart that show all these integrations. There’s a lot. And there’s also smart actions and all these things that happen when someone lands on your checkout page or even when they make the purchase. So you can add people to a list, you can tag them, you can, if they left the checkout without actually placing the order, you can then follow them around with abandoned cart emails and send them emails to try to get them back. You could put cool tracking on your checkout pages, like retargeting pixels and chatbot type things, live chats, all these things you can do with ThriveCart very, very simply and there’s a whole ton of other features, can’t really even get into all of this now. But the point is that these funnels are going to create buyers. This is gonna exponentially increase your profits because you’re literally cherry picking this product over here, let’s go through this again really fast. But you’re literally cherry picking your most profitable or your most popular selling product and you’re creating this focus funnel around it. And that’s where the power of ThriveCart comes in and the beauty is that setting up a checkout kind of experience inside of Shopify, you know, a whole storefront, that could take a month or so. You know, with the amount of products, even if it’s a small store, really to dial that in. Now, if you’re using something like ThriveCart with the page builder, or just a simple WordPress page that you already probably have access to, something free, you can get that done in a day, maybe a couple days if you wanna really deck it out with some cool graphics and then literally, you can start running some traffic to that product, using your existing email address, Facebook ads, Google ads, social shares, whatever it might be. That is the total power of this whole thing and it’s really cool, it’s exciting and funnels create buyers. So it’s the best of both worlds, that’s really what you’re getting with this. You know, you’re gonna keep doing your Shopify thing, nothing wrong with that, that’s your storefront. But then you can literally create these focus funnels to exponentially boost your sales and your profits by cherry picking those best products. Or maybe you’re brand new and you just wanna test a product, you can do that very simply with these quick funnels and it’s a very inexpensive and fast way to test your products before you build this massive storefront. So even if you don’t have Shopify, but you want to get into e-commerce, maybe you start with ThriveCart first and then you graduate to Shopify once you get rolling a little bit. So, I’m not gonna show you exactly how to do this, I’m actually gonna tack on the video of how to set up and how to integrate ThriveCart with Shopify. I’m actually gonna … our buddy Chris and Dale over at ThriveCart created this video and it’s amazing, it’s way better than I could have done because they have all of the integrations in there so I’m gonna pass it over to them to actually show you how to do this. Thank you, Chris and Dale and Josh, all the ThriveCart guys for making that video. They totally did it, giving them credit for that. And that’s it, so let’s get into it. In this video, we’re gonna take a quick look at where to set this up, how to set your products up in ThriveCart to pass all this through to Shopify and then what it looks like in Shopify itself. So first, let’s go take a look at where we set up the integration with Shopify in your ThriveCart accounts. Under your settings area, we simply head over to the integrations area and then go down to fulfillment services and then click on the Shopify option. Here, we’ll see a list of our existing Shopify accounts and we can integrate with further accounts by clicking this button here. When we integrate with Shopify, we need to enter the store URL. Once you’ve entered your store name into this field, you simply need to click on the button that says, “Take me to Shopify.” You’ll then be shown a page which you’ll need to agree and approve to the ThriveCart app and then you’ll be taken back to ThriveCart with everything ready to go. So now, let’s take a quick look at a cart example. So here we have an example of a checkout where I’m selling one of my branded mugs. When customers complete orders through the checkout, we’re gonna have this passed through to my Shopify store which is gonna link to my branded mug in Shopify. We can see that we’ve got some shipping options here for worldwide shipping and I’m also allowing customers to buy more than one mug and we can see if we add four mugs to the order, the shipping actually increases due to the powerful shipping options we’ve got set up in ThriveCart. So, now let’s gonna take a look at how we send orders from this checkout over into our Shopify account. In our product settings, under fulfillment, we have the shipping option when using a physical product. Under here, we can add multiple shipping options so I’m gonna walk you through the steps of adding a shipping option that will fulfill to Shopify. I’m gonna click on add shipping option and we’re gonna give our shipping option a name. This will display to the customer so I’m gonna call that worldwide shipping. Next, we choose our fulfillment provider. So because we’re gonna be passing orders through to Shopify, we’re gonna be using the Shopify services for fulfillment. So I’m gonna click on this dropdown here, I’m gonna go down to Shopify and select that. Next, we just select our Shopify account. So if you have integrated more than one account, you will need to select that from the dropdown list here and then you can click on save. Now, we can go through and set any shipping options that we want, the amount we want to charge customers for shipping and click on next. We can then obviously choose when the shipping options is available, we’re just gonna leave this out all the time. We go to the next step. And then on the first tab is where we can choose what products this links to in our Shopify account. So in this case, I’ve got my mug product and I’ve got the variant of green so I’m gonna select that and click on save. 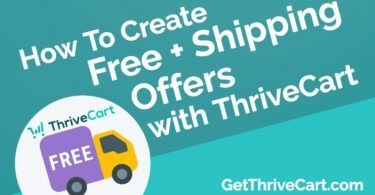 So now, when a customer goes through the ThriveCart funnel, an order will be created in Shopify for this product we’ve just set up in the shipping option. So now, let’s see how it comes through into your Shopify account. 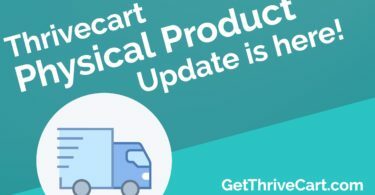 In the order area, under your Shopify account, you’ll see that ThriveCart has passed an order through for your product. If we click on this, we can be shown some further details. In this area, we’ll be able to see things like the price they paid, how much they paid for shipping, if any taxes were applied and the total amount, the customers details include their name, email and their phone number if collected along with their shipping and billing addresses. You can then click the mark as fulfilled button to be taken through to your Shopify fulfillment options and as existing Shopify users, we’ll assume you know how this area works. And that’s the Shopify integration. Simple to use, yet extremely powerful with your ThriveCart funnels and passing orders through to your Shopify account. All right, so just gonna wrap it up. Again, best of both worlds and just remember that at the end of the day, funnels will create buyers. It’s all about cherry picking those best products or maybe testing with a brand new product with ThriveCart first as a step one. And then going from there. I mean, this is literally the way to go. If you wanna get something that’s fast, you wanna sell your physical product, have no limitations and be extremely focused, ThriveCart is the way to do it. So go to getthrivecart.com to see a ton of other content or fire us a message, there’s tons of ways to get a hold of us, we have a team that’s all ready to give you a lot of help and we have amazing bonuses as well, the best out there. We are the certified partners from ThriveCart, the first and the best and talk to you soon, thanks for watching, Joe Fier out.